The cutest small car around (Fiat 500 possibly notwithstanding) is also one of the canniest used buys – it's fun to drive, but it holds on to its value too. Although you’d struggle to tell them apart in a line-up, the 2007-onwards MINI hatchback is actually quite different to its 2000-2006 predecessor. It ditched the noisy 1.6-litre Chrysler-based petrol engine for one made by BMW itself (and shared with Citroen and Peugeot). The body looks similar, but was actually more affordable to build and cheaper to repair if you prang it. Interior quality took a big step up and there’s fractionally more space in the back seats. 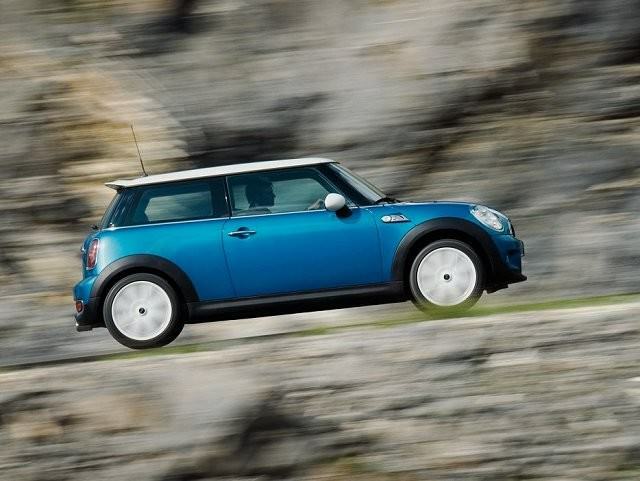 All in all, a much more rounded MINI. Although you can spec a MINI up with so much optional equipment that no two cars ever need be precisely the same, the model range that underpins all this is actually relatively simple. You can have a basic MINI One (which comes with either a 75hp 1.4-litre petrol engine or a 90hp 1.6 diesel), a MINI Cooper (which got a then-new 1.6-litre 120hp engine) or a MINI Cooper D (with the 110hp 1.6-litre diesel) or a MINI Cooper S (turbo 1.6 with 175hp) or, towards the end of its life, the more powerful 2.0-litre 150hp MINI Cooper SD. Oh, and of course there’s the 200hp Cooper S John Cooper Works. And the two-seat-only John Cooper Works GP2. And… Actually, it’s not simple at all, is it? Well, your choice is pretty simple really – get a Cooper or Cooper D. The petrol-fuelled Cooper is, in spite of an apparent horsepower deficit, still a lively little thing to drive and has decent fuel economy too. Take regular longer journeys? Then the Cooper D is your man – a punchy torque figure of 270Nm means it’s quick and it’ll do 60mpg all day long in daily driving. Plus, with 104g/km of CO2, it’ll cost you just €190 a year to tax. The faster Cooper S and SD are fun, but not so much that you’d fancy the stretch to their higher prices and running costs. Equipment levels are all over the shop, as people personalised their cars so much, but don’t buy anything that doesn’t at least come with a Pepper equipment pack (air conditioning, USB connector for the stereo, nicer seats). Pick any colour you want – people like their MINIs bright and cheerful, but white or metallic grey with a black roof are always solid choices to ensure easy resale. They’re reliable too, as long as you look after them. The 1.6 diesel needs a steady diet of high-quality oil, and make sure that the oil pump and water pump are in good order. The oil pump can leak onto the timing belt, so beware of that. The six-speed gearbox and clutch can be problematic, so any shifting issues should raise alarm bells, while the glass in the frameless doors can work loose, so check for wobbles. The fuel-saving stop-start system can be troublesome too, whether packing up altogether or just being a bit unpredictable and causing stalling. If the interior is full of rattles, don’t worry – they really all do that and there’s no known cure. Around €7-8k should get you a nice 2010 Cooper D. Worth checking out what MINI main dealers have on offer as the Cherished used programme comes with a two-year warranty. A big improvement, in terms of quality and economy, over the 2000 MINI and still a solid day-to-day transport. As much fun as it ever was, and surprisingly practical in spite of tiny rear seats.